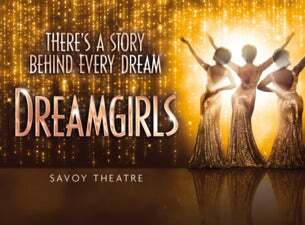 Let your soul sing with the dazzling multi award-winning Dreamgirls at the Savoy Theatre, London. With an extraordinary story and the unforgettable, spinetingling vocals that are sending audiences wild at every show, this spectacular musical production soars with the classic songs And I Am Telling You I’m Not Going, I Am Changing, Listen and One Night Only. The producers cannot guarantee the appearance of any particular artist(s).